Halloween is just around the corner. It is probably one of the top holidays here in our household and Reese especially loves it. Right after Halloween ends she’s already asking when the next is and planning her costume. As Halloween this year was getting closer we were bouncing around a number of ideas with Reese. Unfortunately we weren’t able to go with some of our first choices with trying to tie Finn in to her selections. While looking for costumes for her we stumbled on this dragon costume and she was set on it. Enter Finn as the Brave Knight and the battle is set. 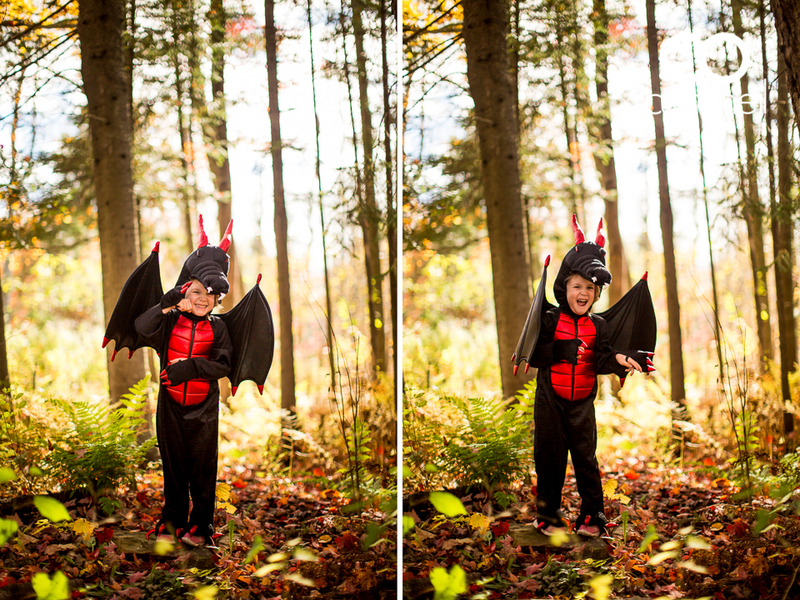 Reese Dragon arrived terrorizing the neighbourhood and there was nothing we could do about it! She roared and breathed fire throughout the land. Finally the Brave Knight Finn appeared on the scene to bring peace back to the neighbourhood. He hunted high and low for Reese Dragon but could never seem to find her. He was becoming tired from all of the searching. 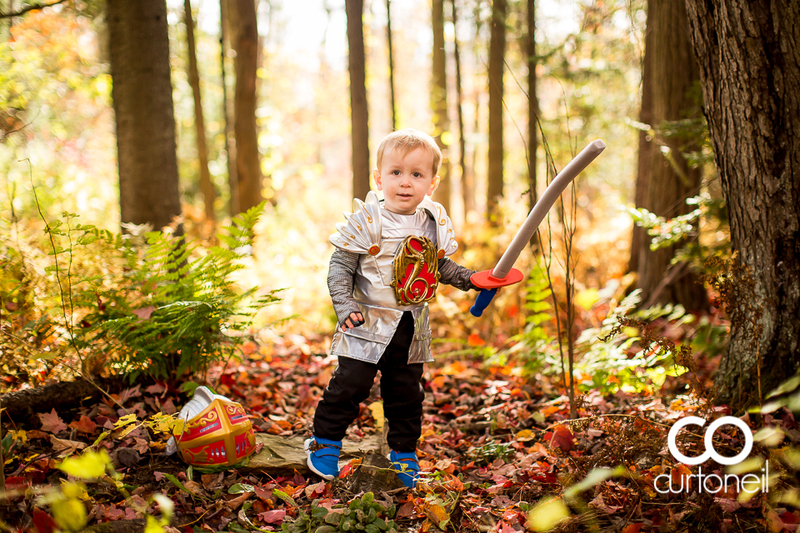 Reese Dragon had turned the tables on Brave Knight Finn and was hunting him! She was following him on his adventure and claiming any place he went as her own. 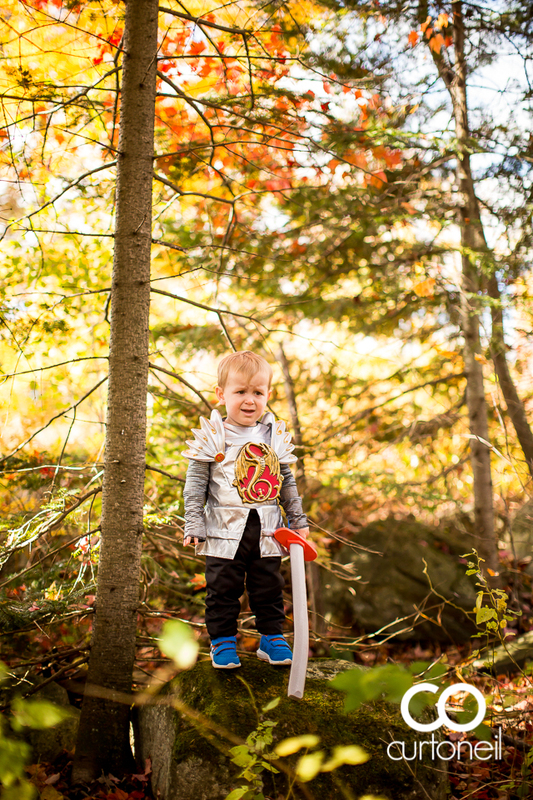 But nothing could stop Brave Knight Finn from saving the neighbourhood. He tricked Reese Dragon and with one swift swoop caught her off guard! Reese Dragon scurried away back in to the forest. Brave Knight Finn was successful! The neighbourhood is safe again!